Join eVitamins’ mailing list to be among the first to receive updates about new promotions, products, and news. Subscribers also get exclusive coupon codes from time to time. 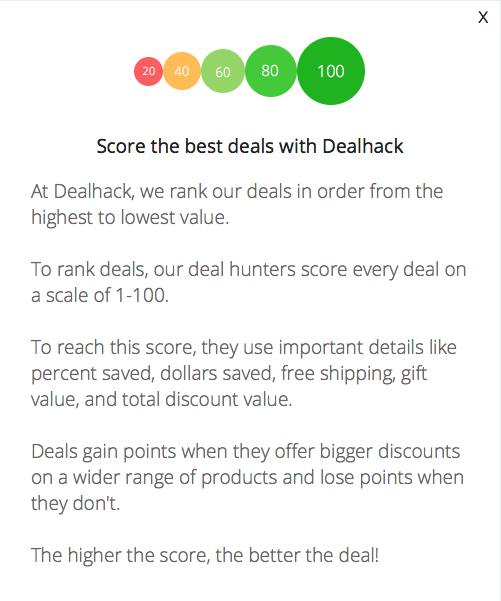 You can find all of the best deals right here at Dealhack, but eVitamins also has a deals page on their website where they keep all their current promotions. Check out their deals page to enjoy great savings on your next eVitamins purchase. Deals include buy one get one free promotions, free gifts with your purchase, buy one get one at 50%, and more. Join eVitamins’ Rewards Program to earn $10 each time you refer someone to eVitamins. Create an eVitamins account to get your unique referral code. Friends who use your code get a $5 discount on their first order. You will then get $10 as soon as their order is shipped. Once your credits hit a certain amount, eVitamins can send you a check or send you money via PayPal. The credits you earn can also be used towards future purchases. eVitamins holds seasonal sales and other limited time promotions so keep your eyes open for new ways to save. If you’re looking for products from a specific manufacturer, you can browse eVitamins’ website by brand. eVitamins carries supplements, beauty products, food items, and wellness products from your favorite brands, including Nature’s Bounty, Burt’s Bees, Kirkland, Nature’s Life, Avalon Organics, and so much more. What is Today’s Best eVitamins Promo Code? The best eVitamins promo code right now is BUNNY19. This code is for '10% off the Most Expensive item in the Cart on Orders Over $30'. Copy it and enter it on the eVitamins checkout page to use it. eVitamins partners with DHL and USPS to ship their products. They ship anywhere in the United States, including Alaska, Hawaii, Puerto Rico, Guam, APO/FPO addresses, and PO Boxes. Shipping costs are calculated based on the weight of your order and the exact shipping destination. eVitamins usually has shipping promotions such as free shipping on orders over a certain amount or flat rate shipping within the continental US. Unused and unopened merchandise can be returned to eVitamins within 30 days of shipment. All return shipments should be accompanied by an RMA number. If you would like to initiate a return, get in touch with eVitamins to request a return authorization. You can reach eVitamins by calling their toll free number 1-888-222-6056, or through the chat box on their website. You can also connect with them on Instagram, Facebook, Twitter, and Pinterest.